The Arms Collectors Guild of Queensland was formed in 1973 as an offshoot of the Military Historical Society of Australia (QLD Branch) by those who were more interested in collecting weaponry than in military history and medal collecting. The inaugural meeting was held on 20th February 1973 and was a great success with some 60 members quickly signed up, with the 100th member following quickly there after. The first president was Mr James Stanley Robinson who is still a members and a regular contributor to the Guild's newsletter or journal. The newsletter set trend for providing members with information on collectables, technical information on weaponry and ammunition plus information on legislative changes likely to affect collectors, as well as there were often considerable numbers of items advertised, what with the laws in those days being more relaxed. The first regular meeting was the Uniting Church hall at Princess St Woolloongabba, then at the Caledonian Club at Kangaroo Point, followed by the St Mary's at Kangaroo Point. 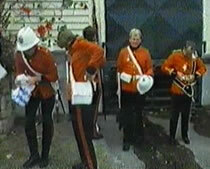 The Guild now meets monthly at the Metropolitan Pistol Club within the Belmore Shooting Complex. 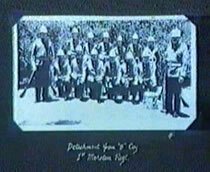 In earlier times the Guild organised a re-enactment drill squad known as the Moreton Bay Regiment (19th Century style) and until recently organised arms fairs. The overall aims of the Guild as presented elsewhere on this web site have not changed but ever restrictive legislation makes the pursuit of member's hobbies more difficult, however the Guild and its members persevere.